I have been to 51/59 of the National Parks over the past decade. I just returned from 3 weeks in Alaska. I was out there visiting 4 of the 8 National Parks there. The parks I have not been to yet are both in Hawaii, American Samoa, US Virgin Island & the other 4 in Alaska. 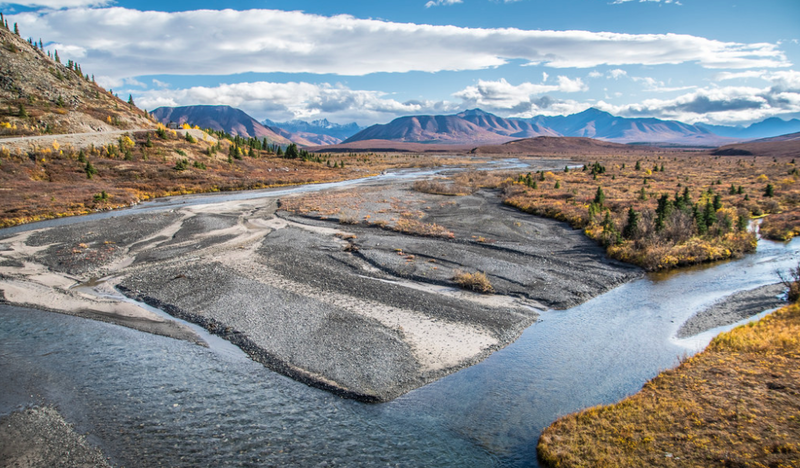 Today I am sharing a few of my faves from Denali National Park in Alaska! I call myself a "professional amateur" photographer. I work for a real estate company and I was just taking photos for fun of all the parks I visited. I didn't even own my own camera until about 2 years ago. Hope you enjoy the amazing Denali National Park! Often when I travel I still require internet for work still so I end up staying in hotels a lot, or trying to plan my stays in remote areas according to my work deadlines. At Denali there are plenty of options immediately outside of the park to about 15-20 mins away North in the town of Healy (which is the relative area of where Into the Wilds took place). Many times when I visit the parks I am shocked with how little options there are directly outside the park. Denali has many options. Book in advance, like 6 months in advance, as things fill up quickly. We came at the end of the season and everything was getting ready to shut down. The season for exploring is pretty short (120 days or so). It was already starting to snow on the peaks when we left. Most of the people I met, and the staff and guides at the parks, are seasonal workers. They come from around the globe to live/work in Alaska for the summer and then return to where they came from. Shops close down, restaurants, hotels even. It must be tough for those who do decide to stay behind for winter! Getting to Denali: Only a four hour drive North after a flight into Anchorage International Airport! Aurora Denali Lodge in Healy. Friendly staff (no breakfast at this time of the season as literally everything was shutting down or running out of supplies). Nothing fancy, but I didn't come to Denali to stay at a 5 star resort. Clean hotel with close proximity to town & the park. We also were able to see the northern lights from the loft/sitting area of the hotel and then we knew when to head out to a more remote location for photography & additional viewing. The hotel also offered wake up calls if the northern lights were actively visible. Cool right? The Brown Bear aka Grizzly Bear! 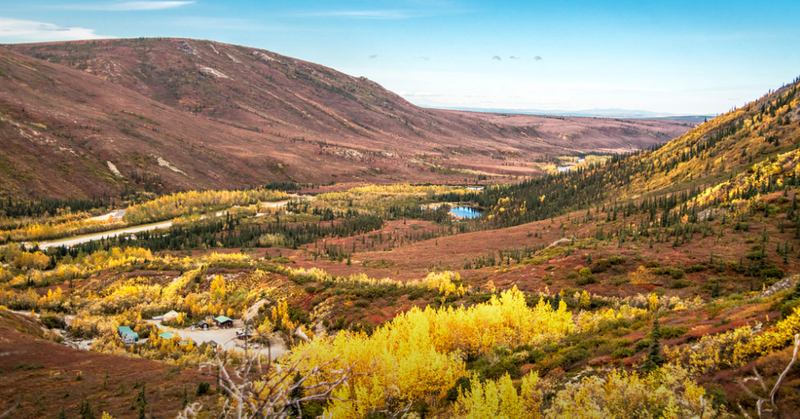 Denali National Park has one road that is 92 miles long but only the first 15 miles is paved! When combined with Denali "Preserve" they make up over 6 Million Acres! I did do the bus ride to the end. If you are going to do the bus ride I would highly recommend camping at a location along the way. It is a long ride, like 6 hours almost with stops. If you did it in a day there and back that would be awful. Our bus ride out there we literally saw almost no wildlife. I couldn't believe we traveled so far and for so long (with excellent visibility) and didn't see anything. Mountains, lakes, rivers, forest, tundra you go by it all. Its scenic, but I've been on many scenic drives before and I much prefer doing the driving than sitting in a bus. The bus drivers are very good at spotting things and full of knowledge. They can talk the whole 6 hours amazingly. Our ride back was much more exhilarating. We saw like 10 moose and almost 10 bears as well and some caribou. Quite the different experience from our ride out there. If I didn't see what I did on the way back I would say the bus ride was a bust, but the ride back was awesome. Hit or miss on what you see. Apparently they see wolves on occasion and once a driver saw a lynx before. I would recommend this because this is the only way you are really going to see much of the park. The road is closed to public traffic after about 11 miles (at the savage river) and then is only open to the buses. Some buses will drop you off anywhere you want along the way and you just wave one down to get a ride back. Others have set destinations along the road. This is what shocked me the most about Denali. It is the most well known park in Alaska probably. Almost any US citizen has at least heard of it, even if they don't know where it is. People come from all around the world to see it. I wonder how many realize how little of the park you can actually see. It is over 6,000,000 acres and there is 1, yes only 1, road into the park for 92.5 miles and you have to take a tour bus. Yes there are trails and a few landing strips if you want to get flown in for climbing Denali or the end of the road, but most of the park is inaccessible. It is very crowded (and I wasn't even there at peak season) so the trails are populated and wildlife is scarce. I wouldn't rate Denali in my top 10 parks due to the crowds and little room to explore (unless you plan on doing some multi-day hiking trips). Having to take the slow buses miles to get to a trailhead is not very enjoyable to me. This isn't like the Zion shuttles either. This is like taking a school bus back in the day. While I really did have a good time, on the scale of all the parks this is somewhere in the middle or lower half for me. I actually enjoyed all of the other 3 Alaska parks more. Still very awesome, don't get me wrong! 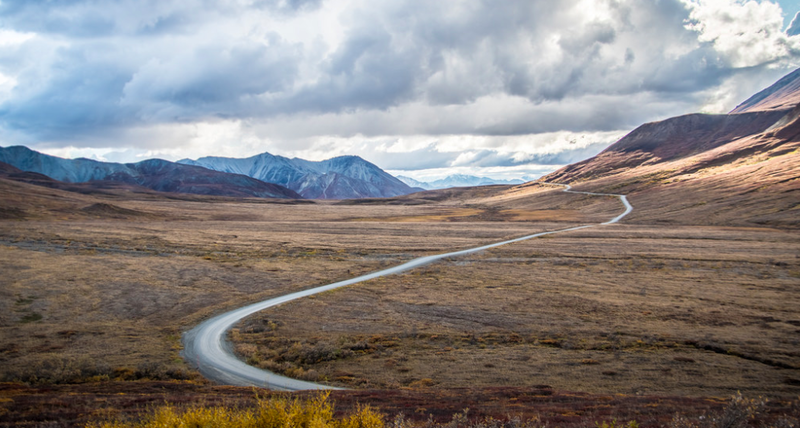 All roads lead to a trip to Denali National Park in our opinion! Bears & moose. Lots of them! Be smart if you are hiking alone or far away from the crowds. Bear spray recommended. All the guides/rangers take it. I was shocked to see how worrisome the guides were of a brown (grizzly) bear, even when hiking in a group. The Kantishna guide we did a hike with did not want to see a brown bear (I kinda did tho, honestly). Know the park is huge, but your area to explore is small. The Lottery!! Once a year, at the very end of the season, they open the road to the winners of the lottery. I forget all the exact details, but its like 500 people win. They get to drive the road as far as the weather permits them to. The buses are done for the year at that point. Only a small group of people win so planning your trip around the lottery is not easy/advisable because it is already the end of the season. Things are closing/closed down in the city outside the park and your hiking could be limited too. Still a cool option to do if you happen to win. The drawings are like in May or something and the road opens in September for a couple days for the winners. You may or may not actually get to see Denali on your visit. They say only about 30% of the visitors see it. On a clear day you can see it all the way from Anchorage, supposedly. This is due to the clouds and weather as well as location you are at. Denali is not visible from the park entrance, you need to drive down the road a few miles to get your first chance at seeing it. Some days its out there, some days it hidden, sometimes it partially visible only. I only saw it once in 4 days for about 5 minutes. Never came out again during my time. At times we could see parts of it high up in the clouds, but not the summit. Leave your comments below if you have any questions about the journey and get signed up in footer to be auto entered in the Hashtag 59 giveaways!